First Choice Air is a professional commercial HVAC contractor providing new HVAC systems from the finest brand manufacturers. Our trained and certified technicians provide skilled HVAC repairs onsite, on time. To assure proper operation and environmental control, look to First Choice Air for HVAC service and proper HVAC maintenance. When its time for new equipment - whether for new construction on maintenance on an existing facility - First Choice Air specializes in HVAC sales, and provides HVAC installtion in a professional and timely maner. We are an A+ rated Better Business Bureau company. We have been installing and servicing HVAC systems since 1999. 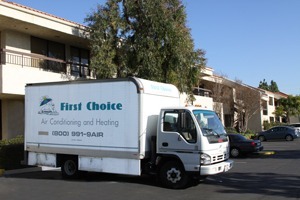 Your can trust First Choice Air for all of your HVAC equipment needs. We get it right the first time. For HVAC service, give us a call or complete our Service Request form.